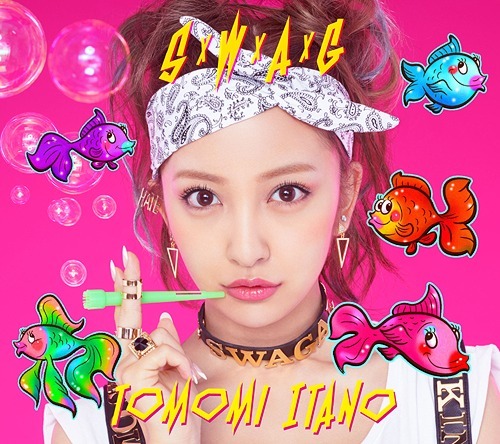 Itano Tomomi is set to release her first album, titled “S×W×A×G” on 2nd July. The album’s tracklist consist of 15 songs, including all singles from”Dear J” to “little”, plus 4 new songs. Itano will hold album release events across Japan starting June 1. Then, she will kick off her first live tour ‘S×W×A×G’ on August 1. Her event and tour schedule can be seen below. I wonder who did these covers….everything is fine except for that horrible pink background and those cartoon fishes. Reminds me of the coloring books from my childhood. On the night of 20th April, EXILE’s vocalist Takahiro(29) and ex AKB48 member Itano Tomomi(22) were seen in a Yakikinu shop frequented by many celebrities. The 2 were reported to be living in the same building in the Jan issue of “Friday”. Entering a private room in the shop, the 2 enjoyed a yakiniku date. On the same night, a party was taking place elsewhere in a Chinese restaurant which even the imperial family visits. EXILE’s brother group “Sandaime J Soul Brothers” had just completed their national tour and was holding a celebratory party. Guests included CEO Hiro(43), Makidai(38), Akira(32) and members of E-girls, as well as Avex Group CEO. The party continued till 2am, but Takahiro was nowhere to be seen. “Hiro san and even the Avex CEO was there. If there is no important work schedules, the party should be of priority. However, Takahirowasn’t working and didn’t even bother to show his face. This suggests that he had other important stuff to do,” music industry personnel. As mentioned earlier, as this party was going on, Takahiro was on a date with Itano. Itano’s agency said that both are friends, but after the meal, the 2 were seen taking a taxi together, heading back to the mansion that both live in. 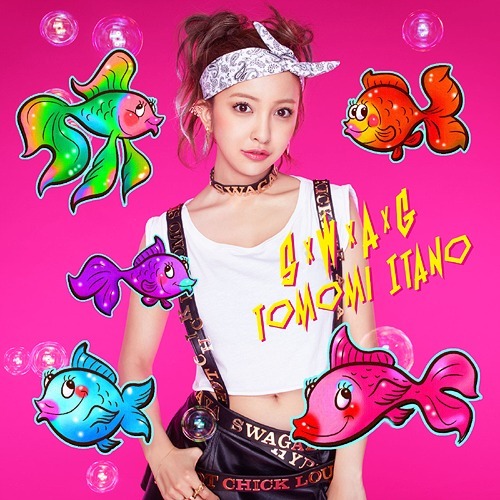 Ex AKB48 member Itano Tomomi will be releasing her brand new single “Little” on 5th February 2014. Unlike the previous singles, this will be the first time she’s penning the lyrics to the title song. The song talks about the weakness in humans, referencing herself, but encourages people to turn weakness into a form of strength in order to move forward. “Please look forward to the new me!” says Tomochin. “I’ll be looking forward to her music, lyrics from now on,” says Yuasa Junji, who is the CEO of Sizuk Entertainment and in charge of AKB48’s music. I want to do music and acting again. I was able to do different kinds of work in AKB, but I’ve never been able to concentrate. I want to work on them properly, one by one. What are you looking forward to in terms of music work? I want to do more lives, gain experience and eventually release an album. So you will be returning as a singer after graduating? Yes, but not before i go on a holiday. In these 8 years, i haven’t been able to enjoy a 1 week holiday, so i was thinking of going overseas with my family this time. Which countries are you planning to visit? I wanna visit the scary theme parks in America! I’ve already checked out the details, seems like there’s something like the Fuji Q Highlands in America. After graduating, the love ban law will no longer apply to you right? I want to get into a proper relationship, but it doesn’t mean i quit AKB48 to do that. I want to fall in love, get prettier along the way, and get married in the future. I love children, so he should be someone who takes good care of them. Also, someone who has a big heart. The chances of you marrying straight after graduation? Not at all, i want to work properly before getting married. A last message to your fans? I am going to keep growing after graduation. As i love music, i’m going to continue in this direction. On top of that, it’d be great if i can show you different sides to myself. I’m going to keep shedding my image,so that you’ll think “Is that really Itano Tomomi?!”. AKB48’s Itano Tomomi held her last performance at the Akihabara Theater on 27th August 2013. “When i thought i was the only one running late, Tomo who was wearing sunglasses appeared beside me and we rushed to catch the bullet train or airplane together,” she confessed. Itano mentioned that she’d become close to 14th generation member Aigasa Moe, who was recently promoted to become a regular member in Team 4. With her long hair and pretty looks, Aigasa Moe does resemble Itano in several ways. “Please become my successor,” said Tomochin. Because everyone around her is sporting black hair, Tomochin suggested that Aigasa also dye her hair brown. What did you think of Maeda Atsuko’s appearace in Tokyo Dome for your graduation concert? I was really surprised. I had actually received a mail to say they weren’t coming. They are 2 people i really like. When they graduated, i was feeling regretful not being able to graduate infront of them. So i was really happy that they showed up. Do you want to pursue acting like Maeda? Yes, because the members are trying it out, so i’d like to work hard at it too. You’ll be able to date once you’ve graduated. I’d like to date if there’s a good person, but i’m not graduating because i want to date. Anywhere normal. I have no particular places i wish to go. What is the first thing you’d want to do after graduating? Kojima Haruna said that there’s only 3 of the 1st generation members left now, and that if she quits there’ll be no more “flower” in the group? That’s very rude of her(laughs).Miichan is a flower in her own right. There are also lots of juniors, so things will change for AKB48. Is there talk about changing your image? I can’t talk about it yet, but i’ll be changing my looks, so please look out for it. Short cut? No way. What did you talk about with Shimazaki Haruka? I received a letter from her when i entered the theater today. I thought i’d cry, so i haven’t read it yet. She can’t express herself well in words, so she’s cute like that. She’s like family. I want to write her a letter too. You were originally a Akihabara Idol, but over the years you’ve become someone whom high school girls look up to. I’m really happy…This is something like my strength. Because i have these girls looking up to me, i’m able to work hard and be spurred on.